Having a drug charge is a damaging issue and should be handled by experts. The drug charge attorneys at Brooks & Associates will help you fight, get fair representation and we will do everything in our power to get you the best possible outcome. We know our way around the legal systems and the criminal charges brought on by drug charges. With over 30+ years of experience, Cynthia and Willie Brooks have the experience to give you proper consultation for your drug charge case. This classification includes drugs similar to heroin, LSD, and ecstasy. Posession is a Class I felony carrying a potential 3 to 8 months in the state prison system along with fines. Schedule II drugs have a very high risk of addiction. These include methamphetamines, cocaine, methadone, and opium. Possession of these substances is a Class 1 misdemeanor, carrying the sentence of 6 to 12 months in jail. Schedule III substances are addictive but also sustain permitted medical uses. They include ketamine, anabolic steroids, and some depressants. Possession of these drugs could force you to face Class 1 misdemeanor charges, the potential of 6 to 12 months in jail. These are usually prescribed by doctors. They include Xanax, Valium, and additional sedatives. Possession of a Schedule IV drug is a Class 1 misdemeanor that could carry 6 to 12 months in jail. These are commonly medications that include codeine. Possession of a Schedule V is considered a Class 2 misdemeanor, potentially carrying a varied sentence of 30 days to 6 months in jail. Schedule VI drugs without any medicinal value.Possession of a Schedule VI is considered a Class 3 misdemeanor and may carry a charge of up to 30 days in jail. Call Brooks & Associates Now! 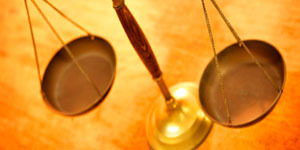 Get an experienced lawyer on your drug case in Charlotte, Monroe and the surrounding areas. Call our office now so we can review your case!